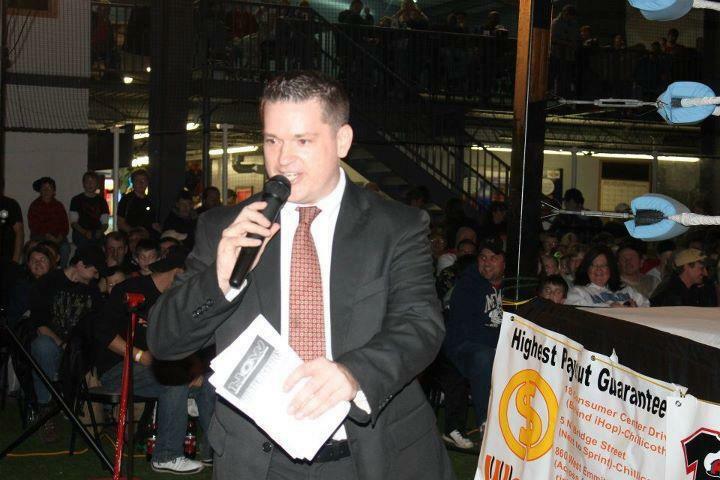 Let me tell you what an honor it was to work for the NWA Mid-South this past Saturday in Morgan City, LA. It was a great SOLD OUT show. The fan interaction party was amazing and the card was top notch. It was a traditional wrestling feel and it reminded me of how wrestling use to be. I stood back and watched the stars of the NWA and the feel of the building and the crowd it felt as if at any moment Dusty was gonna run out and beat the hell out of the Horsemen. If you missed it, I'm sorry. It was truly a magical night. I was honored and blessed to be a part of it. Thank you to Matt, Greg, Tony, Mike, Shane and the rest of the crew. Thanks to Johnny Morton and Kenny for a great and safe road trip. I could not have asked to have been part of anything more spectacular. 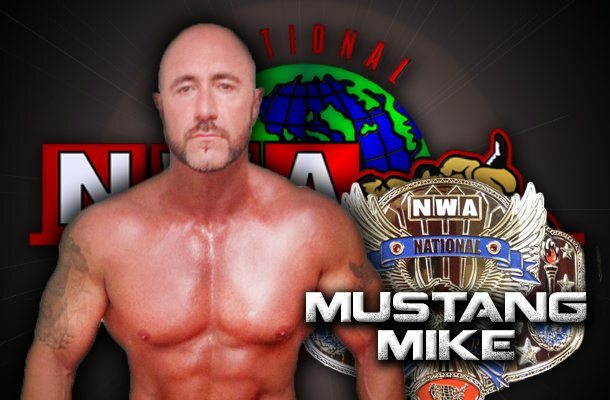 Last night at a sold out Municipal Auditorium in Morgan City, Louisiana, Mustang Mike defeated Greg Anthony inside the confines of a Steel Cage to win the biggest championship of his nearly twenty year in-ring career, the NWA National Heavyweight Championship! The match went back and forth throughout it’s entirety with both men believing that they had put their opponent away on several occasions. Mike was originally scheduled to challenge NWA World’s Heavyweight Champion “Godzilla” Jax Dane for his title, but, “Godzilla” is under a doctor’s care and was not cleared to compete. So, the NWA Championship Committee made a few adjustments to the card. The result was very well received by the local fans in Morgan City, Louisiana as Mustang Mike is their hometown hero. “The Golden Boy” Greg Anthony did indeed lose his beloved championship belt, but, he proved why he belongs on the big stages with the big names in Professional Wrestling! 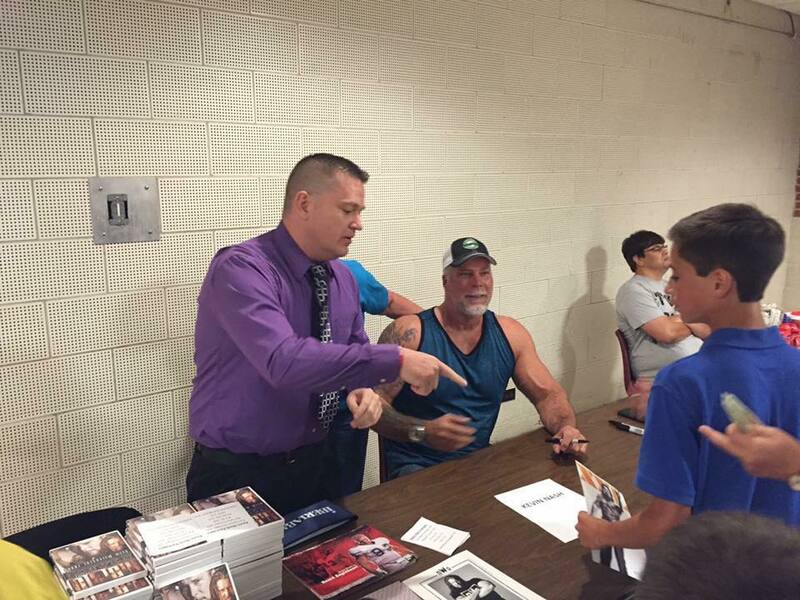 We know he takes pride in the fact that over 1,000 people witnessed history made in a building that has seen plenty of Professional Wrestling history as Bill Watts used to run shows in the Morgan City Municipal Auditorium with his Midsouth territory as did Fritz Von Erich with World Class Championship Wrestling. Only time will tell if Anthony will regain one of the most historic Professional Wrestling Championships of all time or if he will move on to even bigger things here in the NWA. This was a hotly contested Steel Cage bout that eventually ended in controversial fashion after Riviera’s manager Pretty Tony interfered in the match by delivering a “low-blow” to Jeremy Moore. Riviera then capitalized with a finishing move, a maneuver similar to the Downward Spiral, and covered the champ for the 1-2-3 to become the new NWA Mid South Unified Champion. Rumour has it that “The Loverboy” celebrated his championship victory with a bevvy of beautiful ladies in tow. -NWA World’s Tag Team Champion “Ironman” Rob Conway defeated “Red Dog” Rodney Mack by Disquslification. -Barrett Brown & “Battleborn” John Saxon upset long time tag team partners, NWA North American Heavyweight Champion Tim Storm & NWA Texoma Texas Heavyweight Champion Apoc for a big victory. -Psycho Mike defeated “Super” Stan Sweetan. Follow NWA Mid South on Twitter- @NWA_MidSouth. Follow the National Wrestling Alliance on Twitter- @NWAWrestling. Also, you can follow NWA President Bruce Tharpe on Twitter- @rbtharpe. Thank you all for being fans of the world’s oldest governing body in Professional Wrestling, the NWA.